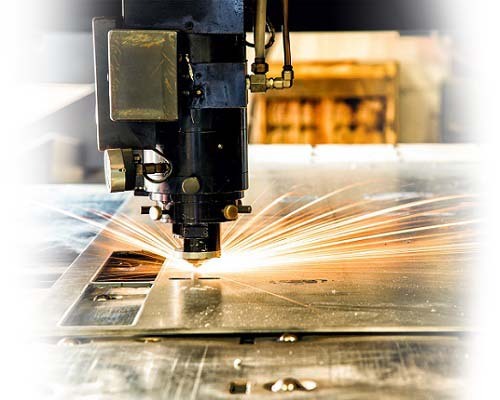 Our high power laser cutting machines can cut thin or thick gauge material with high speed and precision with little to no post-cutting work required(i.e. de-burring).An auto-mated tower interfaces with all machines to facilitate “lights-out” cutting.Our skilled machine programmers implement the most efficient use of machine time and material to ensure quick turnaround,accurate cuts,and minimal scrap regardless of volume,all resulting in cost savings for our clients. 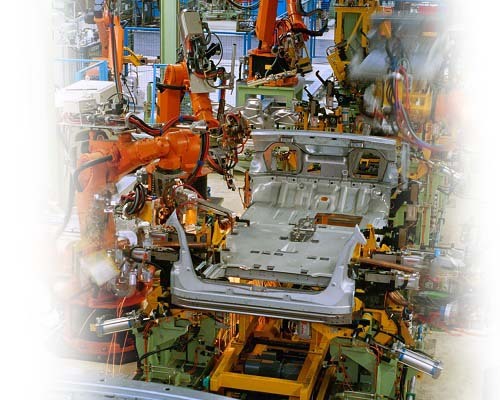 We can provide automated welding services utilizing robotic welders to accommodate low and high volume production. 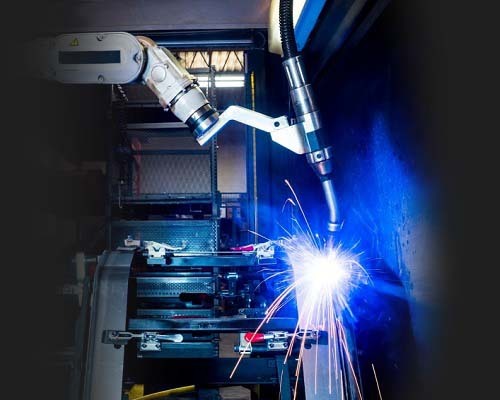 Robotic welding eliminates the risk of human error, thus maintaining consistent product quality. Conventional manual welding services are also available to accommodate low volume runs without extensive jigging. 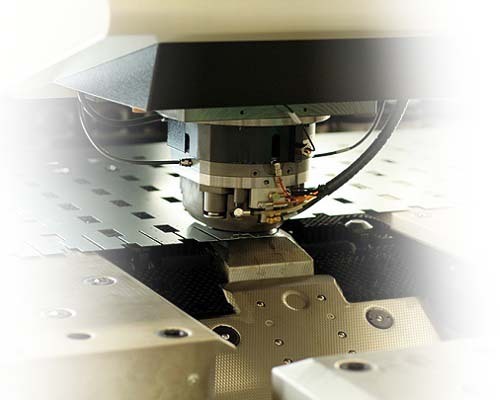 Our large table CNC punch machine can produce multiple-shaped and sized holes on blanks. Similar to our laser cutters, our state-of-the-art punching machine can produce punched parts in low and high volumes consistently and accurately. We have brake presses ranging from 8-10 ft. and 100-200 tons capable of handling small to large blanks. 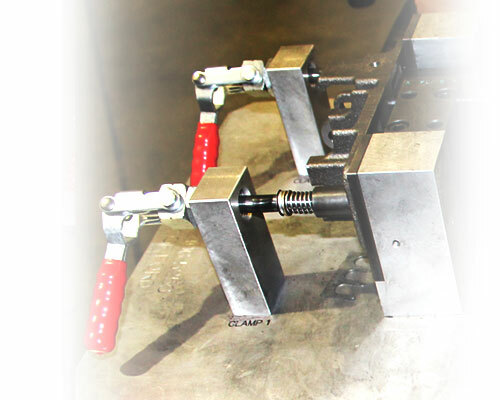 They are equipped with a sheet follower to accommodate heavy parts and one with a robot manipulator to accommodate “lights-out” bending requiring no human intervention during the bending process. Conventional machining services are available to produce jigs and fixtures. If you have a job that requires several components, Amazing Kobotic Industries can manufacture and assemble all components from start to finish to save you time and cost. Amazing Kobotic Industries understands some products have short lead times. 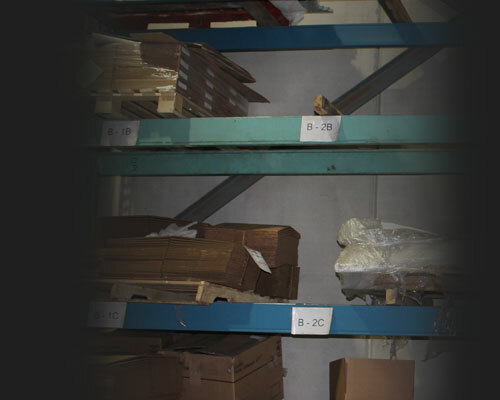 We can build to stock for those clients requiring delivery with short notice. Amazing Kobotic Industries has a rigourous process to ensure all parts conform to design specifications within allowable tolerances. Samples are produced and checked against specifications before production runs are started. Our QA staff will also conduct inspections post production. Any parts not meeting specifications are rejected and quarantined.